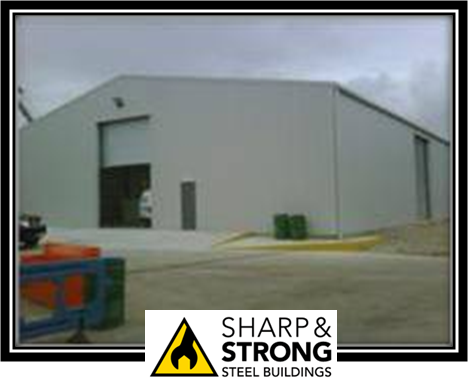 Basic Components of a prefabricated steel building are comprised of several different elements. 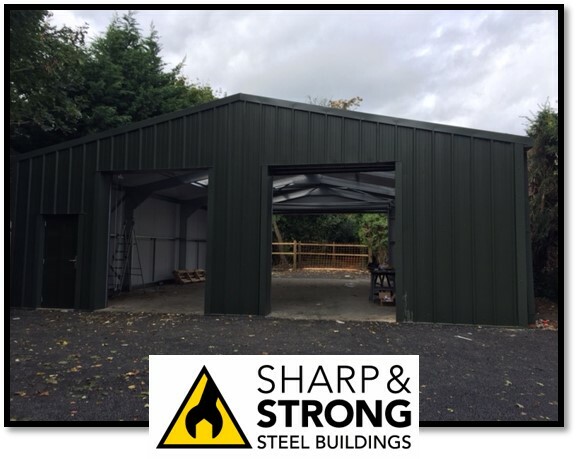 So if you are contemplating purchasing a prefabricated steel building, you may be interested to know what makes up the standard steel structure. Although, details may differ from supplier to supplier. 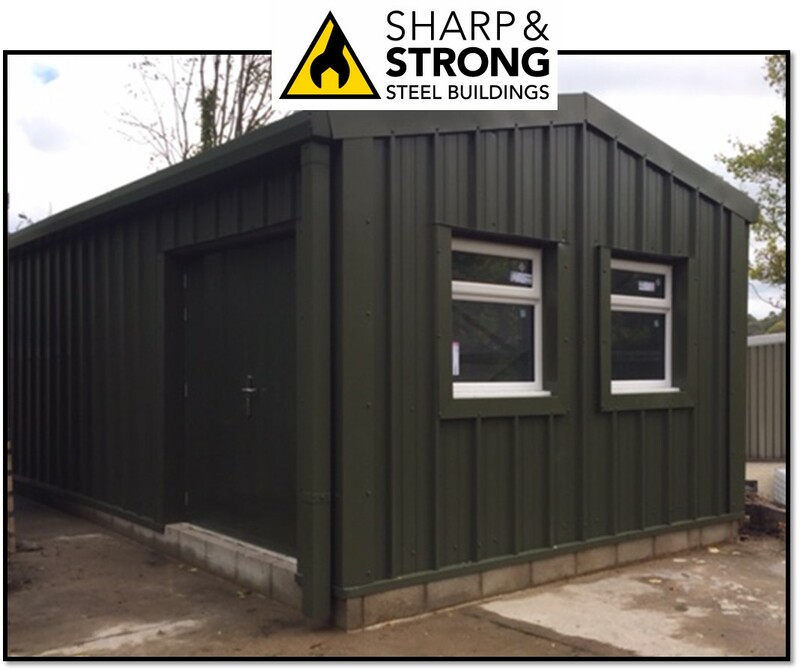 One of the main benefits of buying a prefabricated steel building is that all components are prefabricated, cut, welded and drilled at the manufacturing stage. Therefore, they are easy to assemble on site. 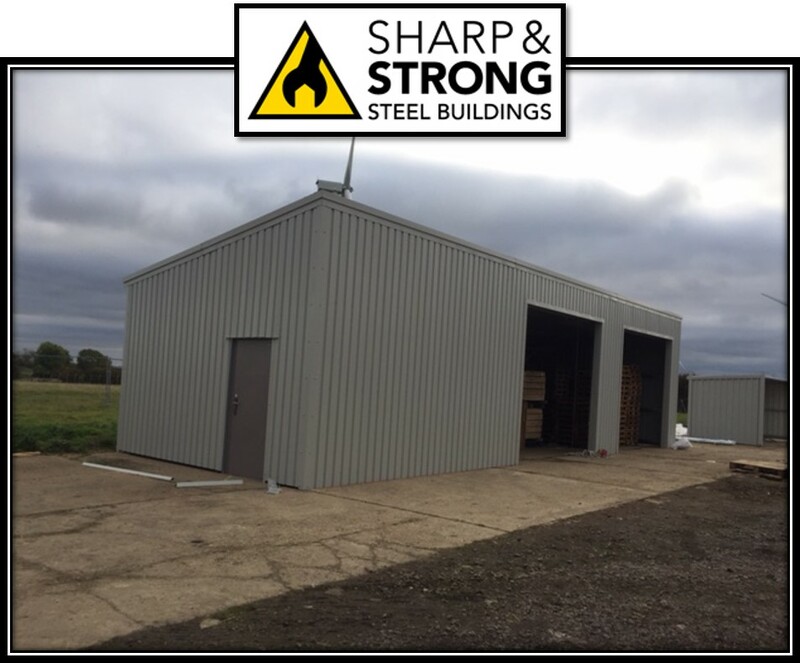 This is a key benefit of pre-engineered steel buildings. These make up the rigid frame of the structure, which are marked for identification and come with pre-welded clips to simplify assembly. Girts, purlins, and eave struts are all components of your structure’s secondary framing. They are fastened to the primary frame by clips pre-welded to the primary members. Girts run from column to column around the perimeter of your building. They are installed parallel to the ground, providing support for your wall panels. 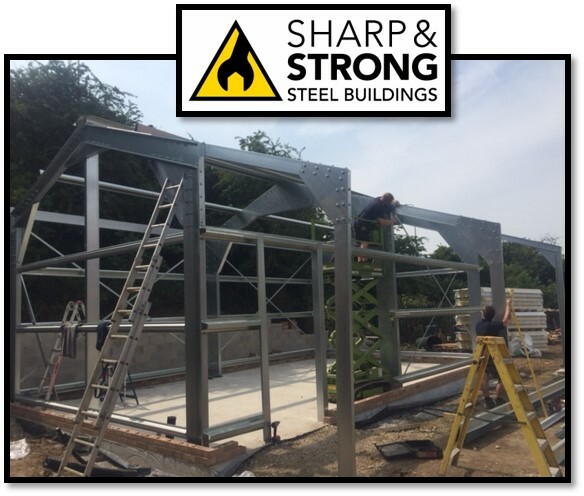 Purlins run from rafter to rafter in a similar manner as girts but are specifically designed to support roof systems. 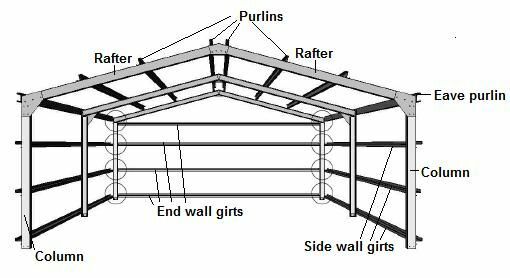 Eave Struts are placed at the juncture between your wall and roof, where purlins begin and girts stop. Your building needs an engineered bracing design to help it withstand wind and snow loads and the forces of holding up the building itself. 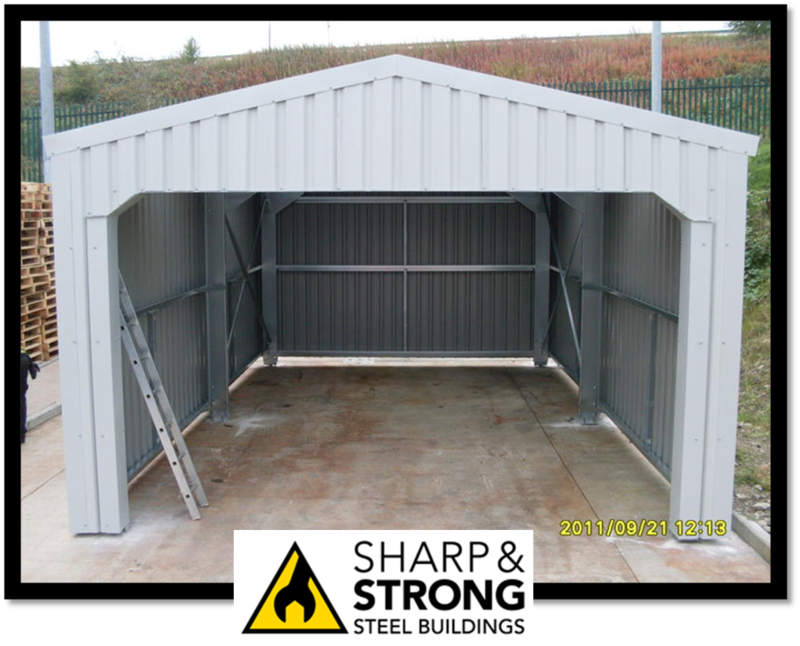 You will need to brace at least one bay on each wall of your building, and provide flange bracing for your roof. 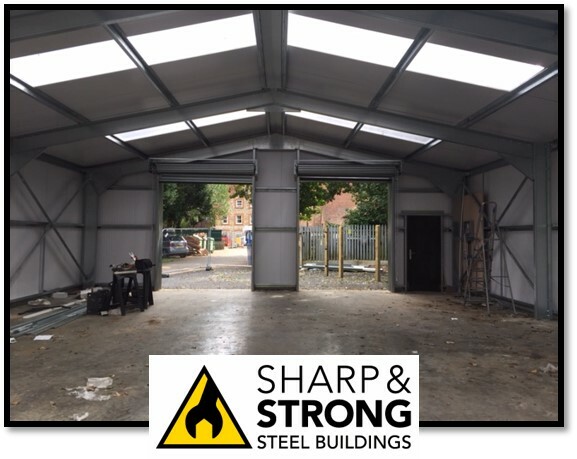 Sometimes called sheeting, steel panels are attached to the girts and purlins to enclose the space. While all steel primary and secondary members are coated for protection with a primer or Galvanizing, the metal wall and roof panels can be coated in a variety of colors and come in a variety of thicknesses depending on what the end use of your building is to be . 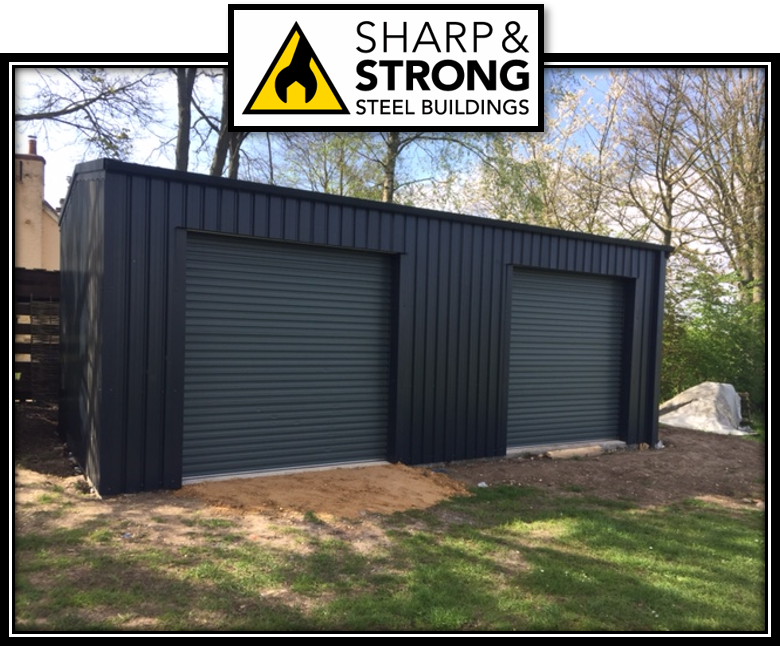 If your building has access doors, roller shutter doors or windows, you will be supplied the framed openings, full cover trim, and exterior j-trim to give your building a more complete and finished look. Everything you need to fasten the frame and panels are part of the standard building kit. Bolt holes are predrilled in the factory so all you need to do is match them up and place the fastener. Another type of fastener you may receive include self-drilling fasteners, which combine a drill bit and a fastener. The self-drilling fastener is designed to drill and tap its own hole in the light gauge steel girts and purlins. The self-drilling fasteners are made from the same rust resistant steel as the panels. Additional flashings and sealants are needed to provide a weather tight roofing and wall system. 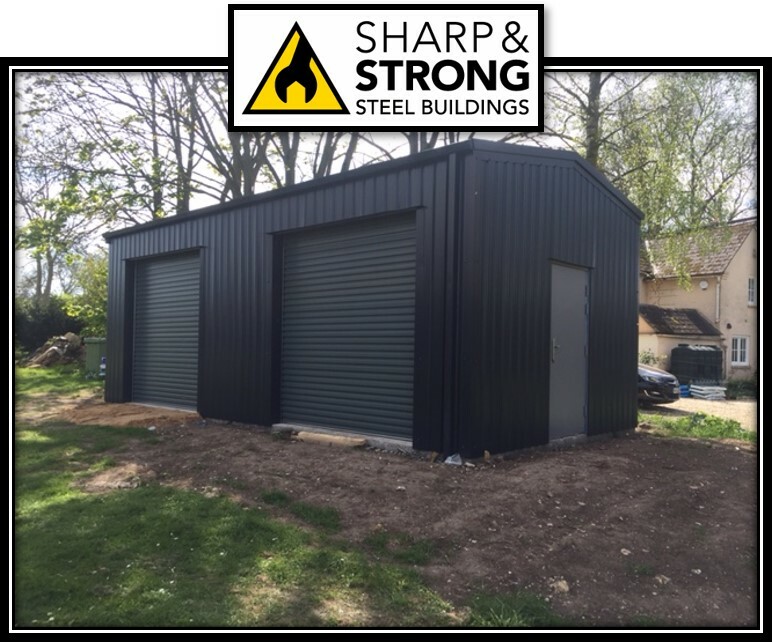 ← Steel Building Insulation – 3 Reasons Why You Need it!